If you’re always on the go, darting from one destination to the next, you’d likely want to have some things with you to make your experiences away from home as comfortable as possible, right? Thanks to the creative genius of companies worldwide, you can travel longer and betterthan before with greater ease. In fact, there is little you can’t do away from home with the right tools, even in the most stripped-down and primitive locations. The Motorized Modobag. Part suitcase, part motorized scooter, fully functional. This incredible piece of technology makes fast work out of getting to your gate in the largest airports in the world. You won’t need to mad dash from the one end of the terminal to the next and hope that you didn’t miss your flight. You can hop on your suitcase and take it for a ride instead. The Scrubba Wash Bag. Have you ever wished that you had the ability to clean your clothes with great ease wherever you went? Thanks to the Scrubba Wash Bag, you do! Forget washing clothes out in a hotel sink or trekking to the nearest laundromat with a pile of things to clean. This ultralight and portable washing machine is perfect for hikers, backpackers, and campers who want to stay clean throughout their trips. You can pack less and enjoy greater freedom thanks to this incredible invention. A Hooded Neck Pillow. This item serves as an eye mask, a way to keep your earphones untangled, and a comfortable neck pillow in one. It comes in a variety of different brands and colors, too, making it easy for you to buy one for every member of the family. Tune out noises, excess light, and other distractions while flying or riding the train. You’ll be glad you invested in one of these about halfway through your flight or cross-country trip on Amtrak. A Collapsible Water Bottle. It takes up little space in your carry-on bag and can be filled with refreshing H2O wherever you go. It’s the ideal travel tool especially for budget travelers who don’t want to shell out $5 for bottled drinks to carry on the plane with them. Collapsible water bottles are leak-proof and affordable, making them a smart choice to buy before your next trip. Clip one to your bag or throw one in your carry-on for easy access to it. Pickpocket Proof Pants. Designed to thwart pickpocketing, these cleverly-constructed pieces of clothing come in men and women’s styles for your convenience. You can opt to buy shorts or pants and gain peace of mind knowing that you won’t lose your wallet or passport to someone with ill intentions. Travel items like this are priceless and worth every cent you spend on them. 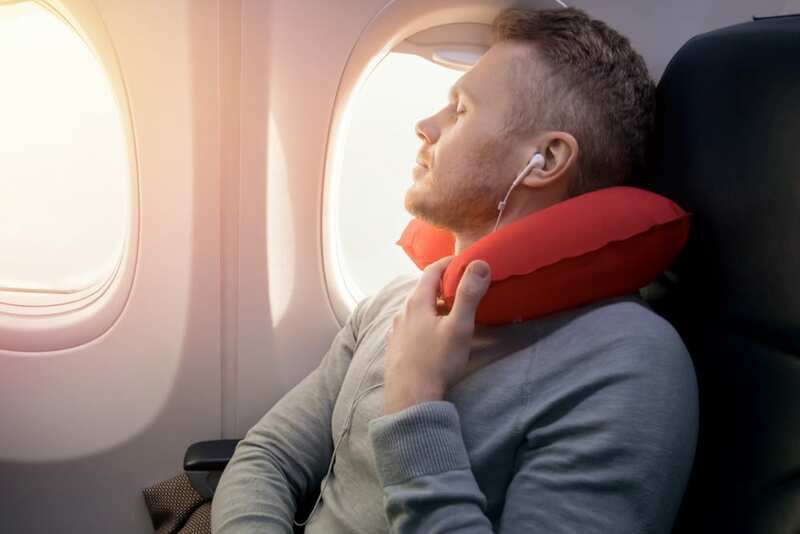 If you travel often, certain items make your experience more comfortable. Select a few of the suggestions mentioned here and add another layer of security to your adventures. You’ll be able to enjoy your trip without worrying about things such as pickpockets or noisy seat mates. You’ll have items with you that deter both.